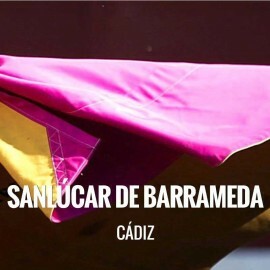 The town of Cádiz, Sanlúcar de Barrameda, celebrates its Fair at the end of May or the beginning of June, according to the date of the Pilgrimage of El Rocío. Its origin is in the Middle Ages, in the so-called Vendejas. There were two frank fairs that were held twice a year, mostly attended by Breton merchants and was marketed mainly with lingerie and wine. The Manzanilla Fair takes its name from the emblematic wine of the area, of exclusive origin in Sanlúcar. Located in the incomparable setting of the Doñana National Park and the mouth of the Guadalquivir River, Sanlúcar de Barrameda enjoys the raw material and the perfect climate for its production. In order to promote the best-known brands, the first feast called of the Manzanilla was held in 1929. 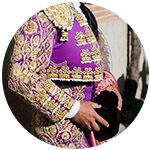 In 1947, an event was organized in honor of the Divine Shepherdess of the Souls in the Plaza de Capuchinos, moved in 1972 to Paseo de la Calzada, giving it the definitive name of 'Feria de la Manzanilla'. Throughout five days, the manzanilla wine accompanies in the booths to the culinary specialties of the place, such as fried fish and seafood. 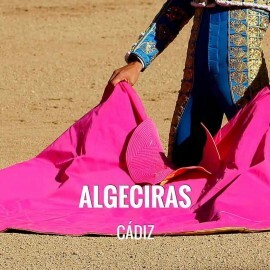 Located in the Real de la Calzada, it is a fair open to all visitors and composed of about 70 booths and almost 25,000 red and white lanterns, of course with its traditional cover. 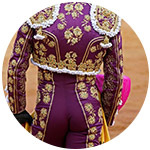 It is celebrated at the end of May or beginning of July on the occasion of the Manzanilla Fair. It usually consists of a greater celebration. 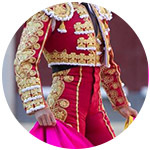 At the end of August and coinciding with the Feasts of Exaltation to the Guadalquivir River another bullfight is celebrated. How to get from Cádiz to Sanlúcar: Sanlúcar is located 49'3 km from Cádiz (38 minutes by car), route. Address of Sanlúcar Bullring: Av. San Francisco 68, 11540-Sanlúcar de Barrameda, Cádiz. 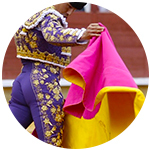 In 2018 there was a run with bulls from La Palmosilla for the figures Enrique Ponce, José María Manzanares and Roca Rey. The triple ended on shoulders and Ponce pardoned the fourth bull of the afternoon. 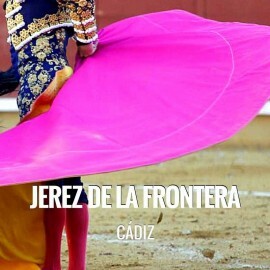 We regret to inform you that, currently, Servitoro does not have tickets for this show, but we recommend other bullfighting experiences a few kilometers from Sanlúcar. Servitoro, bullfighting news of Sanlúcar Bullring, Cádiz.